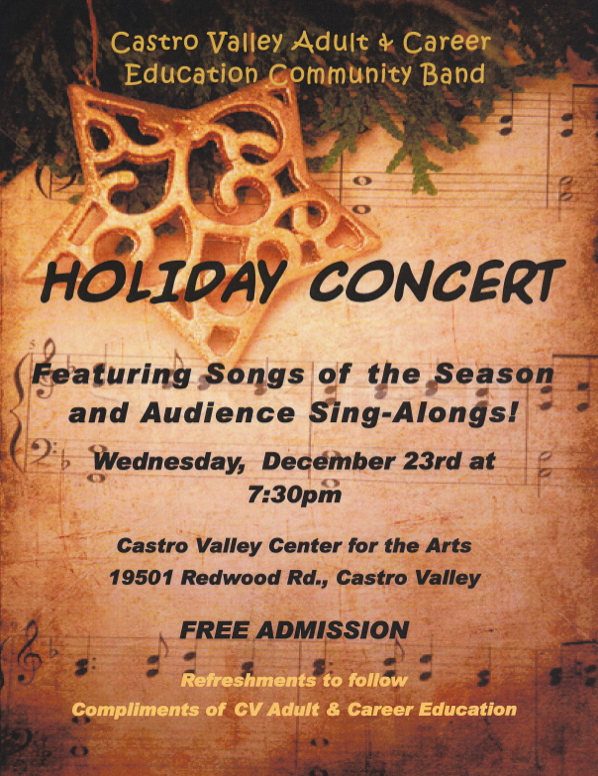 We're happy to announce that our Holiday Concert for 2015 will be on Wednesday, December 23 at 7:30 p.m. in the Castro Valley Center for the Arts, 19501 Redwood Road, Castro Valley, California. This concert is free and family-friendly, and includes refreshments after. We hope to see you there! We're happy to share the dates of our remaining concerts of the 2014-2015 season. Please join us at any or all of these events! Wednesday, February 25, we perform our annual joint concert with the student bands of San Leandro High School. 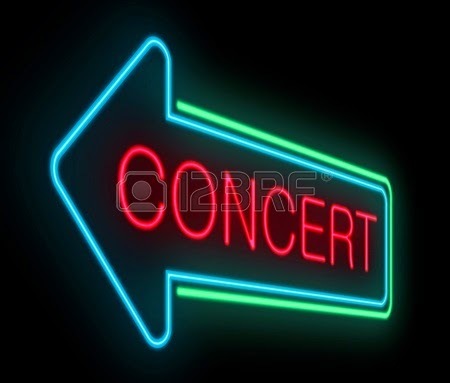 The concert starts at 7:30 p.m. at the beautiful San Leandro High School Performing Arts Center, 2250 Bancroft Avenue, San Leandro, California. Wednesday, March 25, we present our annual Spring Concert at the Castro Valley Center for the Arts, 19501 Redwood Road, on the campus of Castro Valley High School. The free concert begins at 7:30 p.m. and will be followed by a reception with the musicians. Saturday, May 9, the band takes to the open air and morning light for our annual appearance as the official warm-up act for the Rowell Ranch Rodeo Parade on Castro Valley Boulevard. We start playing around 9:15 a.m. Our location moves from place to place, so check our Facebook page where we'll post details when we get them. Come for the music, stay for the parade! Wednesday, June 10, will be our end-of-the-season concert at the Castro Valley Center for the Arts. Downbeat is 7:30 p.m., tickets are free, everyone is welcome, and snacks will follow!